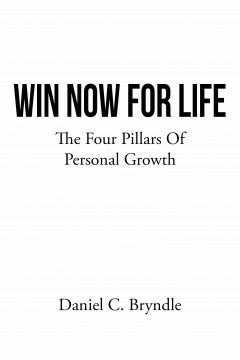 Win Now For Life is an easy to follow Four Pillar Guide that promotes your best potential for success. It was developed over a forty-year period. Win Now for Life allows you to easily prioritize the things you do best, as well as those things we all need to improve individually. The Four Pillars combined is all anyone needs to start winning today. Anyone can start winning now by following this simple four pillar guide to winning. Daniel C. Bryndle lives in East Amherst New York, with his wife Patty. Dan worked in Product Development and Marketing throughout the past thirty years. He has been responsible for contributing to over $300,000,000 in sales throughout those years in industries from real estate, to sporting goods, to imaging software, to environmental silver recovery and plastics. Dan’s Win Now for Life is the first in a series of Mighty Mini Speed Novels published by Patty’s Global World, LLC. The goal in the Win Now series of novels is to offer a highly informative winning approach to a multitude of areas of life and work to help others succeed and enjoy the journey to success. Winning is important but it isn’t everything. However, the journey to finding winning ways that can help others and point them in the right direction just might be. This Mighty Mini Speed novel is published by Patty’s Global World, LLC E Amherst, NY.